People across Australia are being urged to cast their vote in the Melbourne Queer Film Festival ‘Keep The Vibe Alive’ short film competition. The competition aims to highlight smoking rates in the LGBTIQ community, which are up to three times higher than those in the general population. 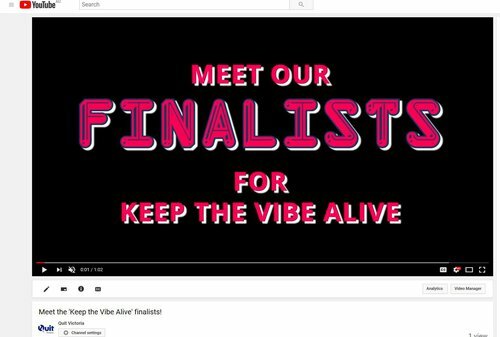 Four short films have now been produced by the chosen finalists to show how smoking can “kill the vibe” in important moments. When people vote and share the promotional post on Facebook or twitter, they’re entered into the draw for one of three prize packs containing 10 MQFF ticket passes (valid for 10 screenings at MQFF 2019, valued at $175). Visit https://mqff.com.au/votevibe/ for entry details. The film winner will be announced at MQFF’s Program Launch on Tuesday 12 February, and their concept will air before every screening at MQFF 2019. The winner will also be awarded with a second prize of $4,000. ‘Keep the Vibe Alive’ is proudly supported by Minus18 and Thorne Harbour Health.